As if the seemingly Tron-inspired Art Style: light trax weren't enough, you can get a second helping of Wii-based light cycle action as Tron: Evolution will be racing across the Wii landscape later this year. If you feel your current Wii Remote just isn't futuristic-looking enough after years of familiarity, you may want to get your hands on this design from PDP. 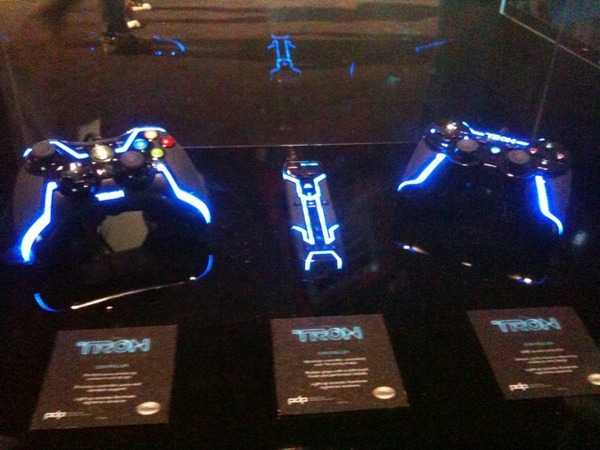 Based on the designs of both the film and game, the TRON controllers will feature unique, performance-enhancing contours and design, rubber grips with a soft-touch finish and perforated details and light-up accents reminiscent of the TRON universe to illuminate late-night gaming sessions. No, we don't quite understand it either. However, if you're a fan of Tron and things with glowing lights on them – like this guy – you might want to check this out when it's released this Fall for around $49.99. That's not the only wacky licensed peripheral PDP has up its glowing sleeves, though, as Disney Epic Mickey is due to get a few of its own. Check out the charging cradle based on the Phantom Blot and Nunchuk housing based on... well, a paintbrush, of course. This truly is the golden age of Wii accessories. That is a sick wiimote. Probably the coolest retail wiimote around. I"ve never seen Tron and have no interest in the game as a consiquence... but this Wii Remote freakin' rocks. Looks cool but one thing I never like about game themed or movie themed items is that it has the name right on it. I understand the branding but it bothers me. Even worse though are sequel branded items like the Halo 3 Xbox 360. Why can't it just be Halo? Why does it have to be tied to that specific game rather than the Halo universe? Rant over. That is amazing Is it a preorder incentive, bundled with it at retail or sold separately? @Shadx It's sold separately, priced about $49.99. Cool, but wouldn't it be a battery drainer? With all those cool neon looking lights all over the Wii-Mote, it would require more electricity to keep them on. If you thought the Wii-Mote used up batteries too fast, then look out. Well... If you have some good battery chargers, then it wouldn't be much of a problem. I don't know if I want the game or not, but I might trade in some of my extra Wii-Motes for this. Gotta get one of those.Looks awesome. Who cares about needing 100's of batteries when it looks as cool as that. I like the rubber grips too,hope its well built.Will NL be reviewing it? Coolest Wiimote ever. I might get it if it's on sale someday! I first saw this on n-Space facebook page and truly need to get my hands on one. Sadly I read that they were lacking the vibration funcion. Hope you guys update the news piece with this info (and fingers crossed PDP changes this until release ). I'm still gonna have to buy it, of course. 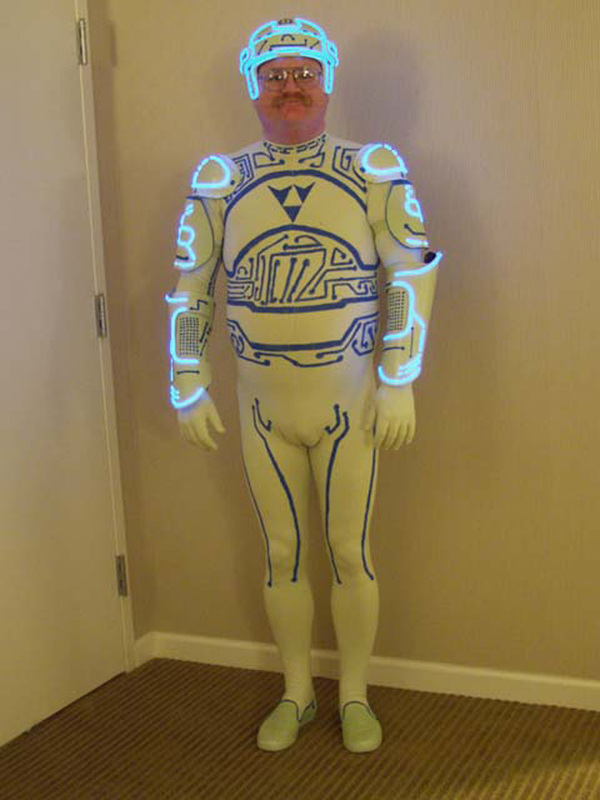 I watched original Tron movie. I liked it. Oh, and if there are TRON fans out there, make sure you check http://shiryumusic.no.sapo.pt/TRON/ for my free TRON tribute music album. Will make the wait for the new games and movie less painful, I assure. I hope thats not true. @Link-Hero I assure you these will be available for purchase circa the videogames release date. As I stated above, there are a few complaints about the lack of Vibration on the Wiimote and the fact that the 360/PS3 controllers are wired only. I forgot what the article was about when I saw the guy with testicular cameltoe. Now my brain has ceased to function. Oh, ok, thanks for telling me. Though, why no vibration? To decrease power consumption? Seems like a stupid move, especially for people who have rechargeable batteries. 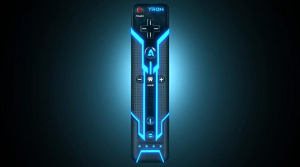 Tron remote IS BEAUTIFUL!!! But $50 for it is a tad expensive. I'll wait to see it in action before buying it. @Link-Hero Sadly I got no answer on that particular question. I hope they think it over before release, it's a dammed shame if it has no feedback. 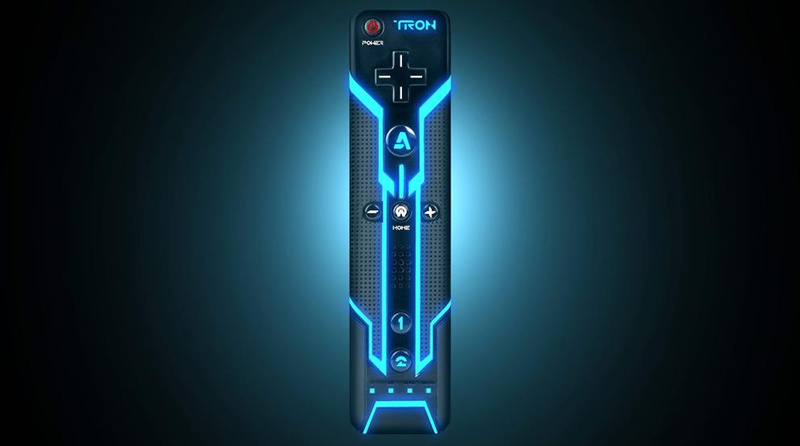 That remote looks pretty snazzy, and I rather liked the original Tron movie, I may get this for it's style. OMGSOSEXY !!!!!! LOL I may have never seen Tron before, but this Wiimote looks like the coolest thing ever. Putting down 10 extra dollars for a cooler glowing Wiimote may be appealing to some.... if they hadn't bought all his/her wiimotes yet . Whoa! I really want one but tis expensive! Too many youngsters in here. I still like to watch Tron every now and then. Looking forward to Legacy this holiday. That Wiimote is pretty snazzy. I'd probably buy one. Not interested in the game though. Awesome. I need another remote. Definitely gonna ask for this for Christmas. I'm going to buy 2. One to show off as like a collector's item and one to use for my gaming need. That thing'll probably eat batteries like a fat person eats a burger. Amazing? yes. Will I buy any of these? No. They're going up against a bajillion Wii games I'd rather pay the $49.99 for. @JebbyDerringer: I agree. Placing the logo on these types of items sometimes creates a paradigm. The cool thing about this remote design is it makes you feel like your holding and using a high-tech tool from the Tron world. But in the Tron world, they don't put "Tron" on all their items. I want to see more of these things. The paintbrush for Epic Mickey looks awesome too. These are way better than placebo plastic attachments that turn your remote into, say, a tennis racket. Why not make a custom remote that IS a tennis racket? freakin SWEET!!!!! I want that so badly!!!! Rez that in my room!! @JebbyDerringer: Atleast it doesn't say Tron: Evolution on it. It just says Tron, and odds are if you're buying this you're a fan of Tron, so it should be fine. Wait, does the blue lining actually light up? Or is it just blue..? As @Pegasus said, I know most of you where not even born back in 82 (I was 4 years old). I urge you all to try and see TRON, think that it was done 28 years ago and see just how stunningly awesome it is before you hit the cinemas on December 17th for the new one. Insufficent Data found...device is beyond words. Looks amazing, but does it have built-in Motion Plus? awesome! day 1 purchase, no matter the cost! I always wanted the Tron controller for Atari 2600. I still can't find that controller! I don't think there will ever be a Wii remote with built in MotionPlus, especially one from a third-party company. Still, that thing looks amazing, even though I don't know a thing about Tron! @Feld0 and Sean - This Nyko Wand+ has built-in MotionPlus but, sadly, doesn't look half as cool as this. Well, hopefully they consider it; I expect Nintendo will release one soon enough and this is much nicer than the Nyko one. The PS3 and 360 controllers are corded with precision parts and vibration support, and the Wii controller is wireless, but lacks the vibration support. All three models will retail for $49.99. Yes please. I wish it came with built-in MotionPlus, but oh well. Oh man, I got to play with one of these at PAX and it was the most beautiful thing I've ever seen. You hear that, Mother Nature? Time to step up your game up. OK, now that's pretty . I got one of these and it is AMAZING!!! There is only one drawback though, and that drawback is that the speakers on it are absolute crap.